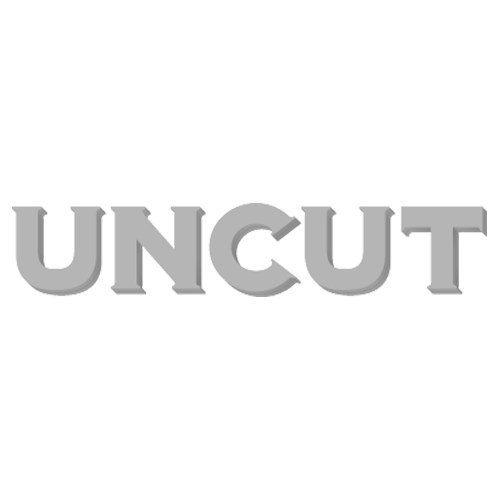 I’ve just written about Jonny Greenwood’s Phantom Thread score for the new issue of Uncut, which has allowed me to revisit the film in some detail. It transpires that this, Greenwood’s fourth collaboration with director Paul Thomas Anderson, is his most classically-minded, complimenting the film’s setting – 1950s high society – with its own opulent old world beauty. As with Anderson – and the film’s star, Daniel Day-Lewis – Greenwood is working to the very fullest capacity here: not for nothing has the film earned six nominations, including one for Greenwood’s score. If – as we are to be believed – this is Day-Lewis’ final film, then Phantom Thread is as strong an exit as you could hope for. During a period in his teens, Day-Lewis was torn between a career in acting and one as a cabinetmaker and clearly craftsmanship has continued to be a significant concern for the actor. In My Left Foot, he learned how to put a record on a turntable with his foot, for The Crucible he built a house using 17th century tools and after his rigorous training for The Boxer, his coach Barry McGuigan reckoned he could turn professional. For Phantom Thread, Day-Lewis has essentially learned how to sew. Working for the second time with Anderson, Day-Lewis plays Reynolds Jeremiah Woodcock, a celebrated couturier to the post-war aristocracy. Pitched somewhere between Norman Hartnell and Hardy Amies, he is witty and nimble, elegant and epigrammatic. But as with many creatives operating at the highest level, he is also fastidious and obsessive: one dress is described enigmatically as “worth everything we’ve been through.” In conjunction with his gimlet-eyed sister Cyril (Leslie Manville), Woodcock runs his operations from a splendid Georgian townhouse in London; but alas, his empire is faltering. First Woodcock finds himself under threat from the New Look, then he is unexpectedly beguiled by Alma (Vicky Krieps), a German waitress he meets at a quiet coastal hotel and who becomes his muse. Although there are a lot of clothes in Phantom Thread, it is not particularly a film about fashion. It is really a film about control and obsession and the disruption of a status quo by an upstart new arrival – in which case, it is possible to see this as a companion piece to Anderson’s 2012 film The Master, another film set in the post war period which focused on the leader of a Scientology-style religious movement known as ‘The Cause’. But superficially, Phantom Thread is a far more graceful film than The Master – although that is not to suggest this is an inferior work. Far from it: a lot of hard work has gone into making it all look this easy, this light. In the acclaim traditionally dished out to both director and lead actor, it is possible to overlook the humour in their endeavours. Day-Lewis and Anderson’s first collaboration, There Will Be Blood, is often hilariously histrionic – and Phantom Thread, too, has flashes both of droll drawing room farce as well as a darker comic grain. In one scene, he complains testily that Alma butters her toast with “too much movement”. Later, Woodcock addresses the ghost of his dead mother: “Are you always here?” It’s an absurd moment – but also freighted with pathos when you consider Day-Lewis walked off stage during a production of Hamlet, claiming he’d seen his father’s ghost in the wings. It is indicative, too, of a late-arriving macabre gothic turn in the story that underscores Alma’s growing control over Woodcock. Anyway, Phantom Thread opens in the UK on Friday. More pressingly, it strikes me I should take the opportunity to remind you of the excellent magazines we’ve currently got on sale. There’s our current issue featuring My Bloody Valentine, Joan Baez and more while last week we debuted our Ultimate Genre Guide to Glam. And our latest Ultimate Music Guide pays tribute to Tom Petty.